Members of the Mission SRO Collaborative rally at 16th & Mission BART station in San Francisco prior to joining the Oakland May Day march. 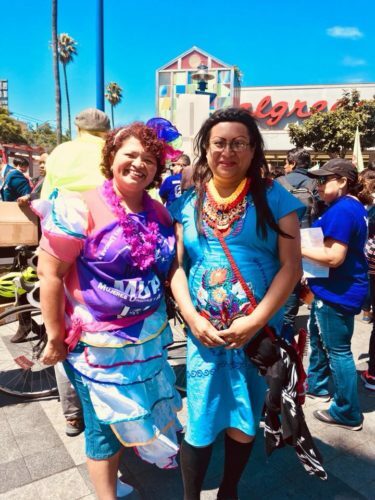 Image courtesy of Diana Flores, Dolores Street Community Services. 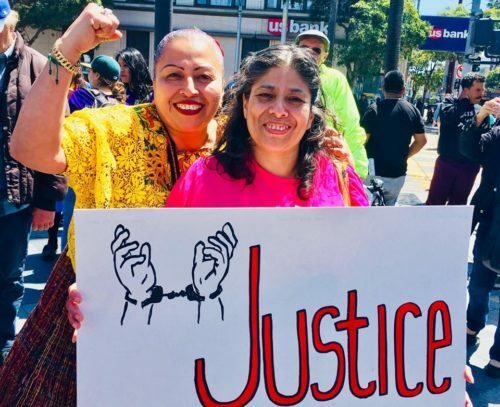 “The colorful signs and banners at Oakland’s May Day demonstration Tuesday seemed to champion an endless array of divergent causes, both local and national in scale. Better working conditions at the Tesla factory in Fremont. A living wage in San Francisco. 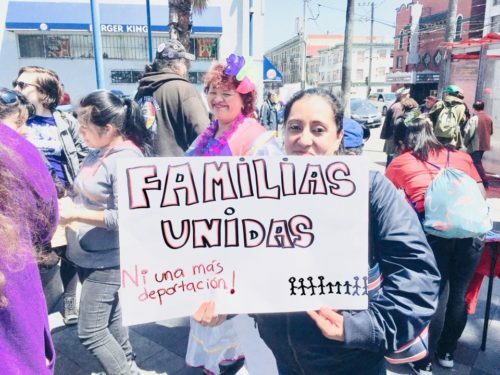 The end of immigration policies that tear families apart. 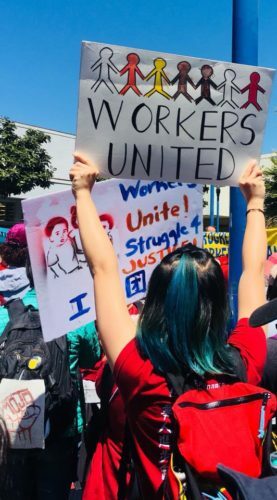 But on the date also known as International Workers’ Day, local May Day organizers hoped to send a message of solidarity across the issues to the hundreds of people who gathered for the march through downtown Oakland. To read the complete article published by SF Gate, click here. Community rally at 16th & Mission BART station in San Francisco. Images courtesy of Diana Flores, Dolores Street Community Services.